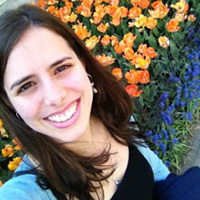 Francesca is a recent graduate of the University of Michigan, where she majored in Biophysics. 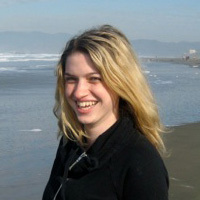 Francesca became involved in computational chemistry research throughout her time as an undergraduate. The highlight of her time at Michigan was spending a summer on an international REU at Peking University. Now she is an incoming graduate student in Chemistry at UCSD. She’s looking forward to leaving behind frigid Michigan winters and moving closer to her favorite animals, sea lions! Sophia’s middle name is “Petros”, which means “rock,” and she loves rock and roll. She received her bachelors in Biochemistry at Manhattan College in 2011. Sophia participated in surgery research at Johns Hopkins and is trained as an experimental organic chemist. 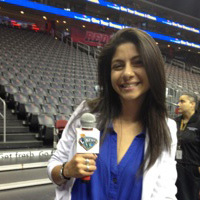 She is a New York NCAA national anthem singer for every division and has even sung for the WNBA New York Liberty. She is looking forward to her road trip to sunny California and her graduate education at UCSD! 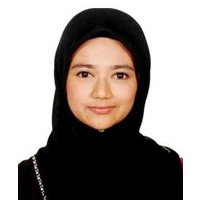 Saira is a student from University Science Malaysia (USM), in Penang, Malaysia. She has a bachelor’s degree in Plant Sciences and recently completed her Master’s in Healthcare Biotechnology. Her master’s research was on influenza virus, particularly virtual screening and bioassays. In her work, she has used virtual screening methods to select plants for neuraminidase influenza (H1N1 and H5N1) bioactivity screening. Her scientific interests cover a range of issues related with computational biology/chemistry, especially towards drug design. Emília is 20 years old and from Brazil, where she is majoring in Chemistry at the State University of Campinas (Unicamp). This year she is studying abroad at Columbia University thanks to a scholarship sponsored by a new Brazilian program, “Science Without Borders.” She has had a very exciting experience living in such a vibrant and cultural city as New York. Emília has worked in an Organic Chemistry laboratory during her spring semester, and is looking forward to expanding her understanding of Science at ComChemBioCAMP. In her free time she enjoys exploring the city, reading and, of course, eating!